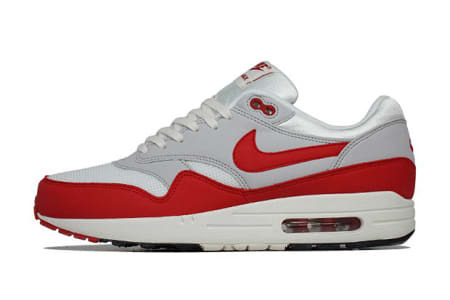 In 1987, Tinker Hatfield came up with a crazy idea: He wanted Nike sneakers to have visible Air, and so the Air Max 1 was born. 2014 will mark the 27th anniversary of Hatfield's idea, with the Air Max 2014 releasing today. Not only did Air Max give a plush ride during runs, it showed what sneaker cushioning could do for a runner. Over the past 27 years, Nike has evolved Air from being a tiny pocket to being a full 360-degree experience. The Air Max series has found its way from the running trail to the basketball courts and here's why: A Design Breakdown of the Nike Air Max Series.